Home security systems have become a staple in homes all across the United States because of the high crime rates in certain areas of the country. There are almost 3 million burglaries occurring each year, the data shows that burglaries occur in almost every neighborhood regardless of average income level. Since safety is important home security systems have become a first line of defense against burglaries for many homeowners. People want at least a basic home alarm system to increase their feeling of peace of mind, but since burglaries can also result in assaults in even worse; having a monitored home security system may increase safety and peace of mind of owners because the police will be dispatched in the event of an alarm system. 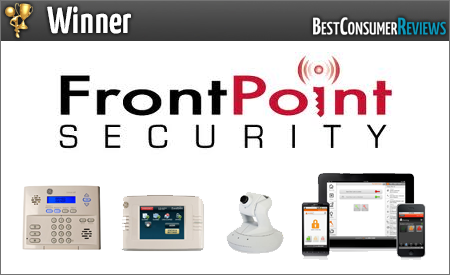 FrontPoint Security provides some of the best home security system monitoring options in the industry. Couple that with their reputation for providing great customer service and its easy to see why FrontPoint Security is quickly become a favorite among home security consumers. They offer a 100% cellular home security system and emphasize the cellular monitoring because it offers a safer security alternative to phone line-based systems which are still the predominant mode of communication with the central monitoring station. Unfortunately phone and Internet-based security systems are vulnerable because burglars and intruders can cut a phone line and thereby disabling your home security system’s response mechanism from outside before stepping into your property. 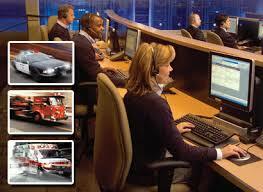 FrontPoint Security also offers 24-hour central monitoring nationally and in some parts of Canada. With 24-hour monitoring customers know that if they have a burglary or break-in, the police will be dispatched. FrontPoint Security’s monitoring also protects against fire, environmental emergencies and produces alerts from temperature sensors, flood sensors, medical alerts and dispatch. FrontPoint Security also provides interactive monitoring features that help consumers better interact with their home security system. FrontPoints high tech home security system features smartphone apps, which allow their customers access the system from any where they have Internet access. iPhone, iPad, Blackberry, Windows phone and Android users all have smartphone apps they can download onto their phones. Also access available video surveillance cameras from you free smartphone app with a FrontPoint Security solution. Streaming video and off-site video clip storage is available on their security camera systems. FrontPoint Security also offers wireless IP security cameras, these high tech cameras are easy to setup and are appealing to customers who may be interested in security camera systems. FrontPoint offers everything from basic home security equipment packages to bigger designs with up to 39 different sensors. FrontPoints Security equipment is also affordable but their great team of service representatives can customize a system for you. Frontpoints commitment and focus to customer service has earned them a B+ rating on the Better Business Bureau (BBB). 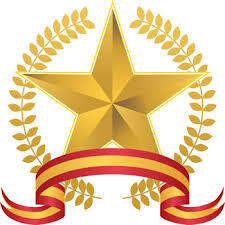 They’ve also achieved hundreds of 5 star reviews on Yelp and other review sites. FrontPoint Security backs their product by offering their customers a 30-day risk free trial period, making it possible for customers who aren’t completely happy with the security system or the service they received to return the equipment at no cost. FrontPoint Security takes providing great customer service to the next level, in an industry that hasn’t excelled at providing the best customer service to its customers. The offer the latest cutting edge technology and emphasize that every home security customer must have the safest security system and a cellular security system offers that. FrontPoint customers would find that free smartphone apps are easy to use and enhance the home security experience for all users. FrontPoint Security offers a three different monitoring plans, our team here at BestConsumerReviews.com were glad to find that all three monitoring plans provide cellular monitoring, talk to anyone on the FrontPoint team and you can see that they believe a home security system that can be defeated from outside the house by cutting the phone line does not provide a high level of security that every home security customer should have. Protection Monitoring: FrontPoint Security basic plan is truly neither bare bones nor basic. At $34.99 for cellular monitoring with 24 hour monitoring for fire, theft, medical monitoring and monitoring against environmental hazards.. All this for $34.99 a month is a pretty good deal. Interactive Monitoring: FrontPoint’s interactive monitoring plan takes alarm system monitoring to another level. The interactive monitoring allows us to interact with the home security system, like ARM and DISARM from a smartphone. With the interactive monitoring you can also get an alert if a burglar breaks in to the house but people will also appreciate the notification from knowing when their family members arrive and leave by sending a text message when they ARM or DISARM the security system. FrontPoint’s interactive monitoring also includes remote wireless light controls that allows you to turn lights on or off from your smartphone. The Interactive monitoring plan also includes Geo location services, a feature that allows your home security system to text you a reminder if you leave your home without arming the system. This popular monitoring plan is priced at $42.99. Ultimate Monitoring: This monitoring plan includes all the features of the Protection and Interactive monitoring plans but adds Video surveillance, get live streaming video and offsite secure video storage. FrontPoint Security’s Ultimate monitoring also includes home automation services that allows consumers lock and unlock doors when they add power door locks to their security system. FrontPoint customers can also control their home thermostats from their smartphones. The Ultimate monitoring plan is priced at $49.99. 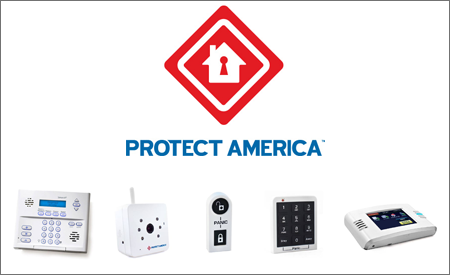 Protect America is a great choice for people who are looking to get a great deal on home security equipment. Protect America offers free equipment packages that would meet the needs of most homeowners. Their approach of offering free home security equipment while allowing customers to pick the monitoring plan that works best for them is great in the home security industry. Protect Americas also offers 24-hour monitoring plans and they have a has a good customer service record, serving thousands of existing customers daily across the United States. Protect America Offers a Lowest Price Guarantee to ensure that their customers are always getting the best price they can find on home security monitoring. With a dedicated customer service team, existing customers also enjoy the ability to troubleshoot their system with a technician over the phone or ask questions n general. Protect America offers multiple monitoring plans and they come in different prices, mostly based on the free equipment package you go with. They offer Cellular monitoring, Broadband or Internet-based monitoring and basic phone line monitoring. With Protect America customers have a lot of options available to them, you get a sense that they have a security solution for everyone. Protect America also offers iPhone and Android apps so their customers can receive real time text alerts and notifications, with the ability to control your home security system remotely. These high tech security system features allow for an enhanced home security experience for Protect America customer. Read third party reviews on Protect and you will find mixed reviews about the company, but their appeal is they offer great home security systems at a competitive price. They truly have some of the best home security system prices around, depending on your budget. Protect America offers free home security equipment packages for every new customer, these packages are great for all kinds of homes from small to your typical bug house. All equipment packages are FREE and include the GE Simon XT Control Panel that comes with a 24 hour back up battery, siren and an optional cellular link device. Copper Package: This is their smallest package, and its great for people who are looking for a pretty basic home security system. The package comes with 3 door or window sensors to protect entry points and 1 motion sensor. This is a good home security systems package small to mid-sized condos and apartments. Monthly monitoring charges start at $19.99. Bronze Package: The Bronze security equipment package comes with more sensors than the basic Copper package, with 7 door and window sensors standard. This package provides enough sensors to cover all the doors on most homes. It also includes 1 motion detector that can help cover large areas. This package should be good for normal sized town homes, ranch style homes and some single-family homes. Monthly monitoring charge starts is $35.99. Silver Package: The Silver package is the most popular equipment package that Protect America sells. This package comes with 10 door and window sensors so a lot of good-sized homes should have enough sensors here to cover their doors and all or most accessible windows. A motion detector is also included. Monthly monitoring charge starts at $37.99. Gold Package: With 12 sensors for the entry points the Gold package offers enough coverage for the entry points of most normal sized homes, there are even be a few sensors to spare for other areas like medicine cabinets and gun safes. This package also comes with a motion detector. Monthly monitoring starts at $39.99. Platinum Package: The Platinum package is the largest package Protect America offers for free. This should have enough sensors for most normal sized homes with 15 door or window sensors included. With the platinum package there should be enough sensors for some people who may want to put a sensor on every point of entry. This package should leave extra sensors for gun safes, medicine cabinets, private file cabinets etc. This package also includes a motion sensor. Monthly monitoring starts at $42.99. ADT Security is a staple in home security. 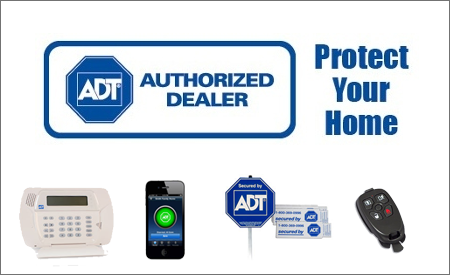 The ADT brand is the most recognizable in the security system industry, most people in the United States have encountered an ADT security system or yard sign. It is important to note that ADT is also the largest home security company in the United States, with over 6 million customers the company has been around for over 100 years. Home security consumers who want a brand they can recognize and those that value experience and expertise in both home and business security systems will probably be comfortable doing business with ADT. Another advantage ADT has over most other security companies is they have a great local presence and a network of dealers, technicians and installers all over the United States. They offer professional installations and offer free in home consultations. Phone line based: Relies on a phone line to connect to the central monitoring station. Cellular as a back up: A phone line based system, with a cell backup incase the phone line fails or is defeated. Internet/Broadband connection: Relies on Internet connection in the home to connect to the central monitoring station. Cellular connection: Uses a cellular link device to dial out to the central monitoring station. Considered the safest form of connection. ADT Pulse gives ADT customer’s additional features with their home security-monitoring plan. ADT customers can receive live streaming video through home security cameras, they can receive text alerts and notifications to their smartphones and download free apps. Control their systems remotely from any web-enabled device including iPhone, iPad, Android and Blackberry based devices. ADT offers wired and wireless home security equipment. Look for door and window sensors, motion detectors, and glass break sensors amongst their burglary protection sensors. They also offer equipment like smoke and heat sensors (complement fire detectors) environmental sensors like water/flood sensors and freeze sensors. ADT offers a reliable security system with great upfront support. Home security customers looking for a local company or provider and those who want to deal with a company face to face may prefer ADT’s way of doing business. ADT could charge for installation based on the size of the security system package. LifeShield Security offers good home security system equipment, and even better 24 hour monitoring services. LifeShield is considered a pioneer because they created the first all digital wireless home security system. LifeShield offers very innovative products and the company takes customer service very seriously as is evident by the feedback from their many satisfied customers. LifeShield partnered with Protection 1, a national security company with a great local presence in most of the United States. The local presence means easy access to technicians for professional installations if needed. LifeShields appeal is also the fact that they offer some of the most competitively priced home security systems out there. Wireless security systems have become more popular and may soon pass the hardwired security systems in popularity. Lifeshield manufactures security equipment, which means the Security equipment is proprietary to LifeShield . Consumers would appreciate the fact that if there is any issue with the security system, Lifeshield knows the equipment in and out so their technicians will have a solution. Headquartered in Langhorne PA, LifeShield offers great monitoring plans, at some of the best prices in the industry, most other home security companies are not able to compete with LifeShield’s monthly monitoring prices. LifeShield offers interactive features and top notch security system technology like remote access and email and text alerts, which help customers stay on top of what if happening in their property at all times. LifeShield security understands that people want great equipment at the best price possible, you can’t deny they’ve accomplished that. LifeShield offers a few different equipment packages that should meet most equipment needs. Home Essential Silver: With this basic package, LifeShield offers completely wireless security equipment and 24 hour monitoring $29.99 . You get a Control Panel, 2 door and window sensors and a keychain remote for free with this package. Home Essentials Gold: LifeShield customers like this package, as it could cover all or most doors leading into the property. It includes 3 door and window sensors, 1 fire safety sensor, 1 motion sensor, 1 keychain remote. Again all the equipment is free and the monthly monitoring charge here is $34.99. Home Essential Platinum: A solid home security system package with 3 door and window sensors, 1 fire safety sensor, 1 motion detector, 1 keychain remote and 1 wireless security system camera. This package also includes video monitoring with remote access to video clips from the surveillance camera, users can also get live streaming video to their smartphones, laptop or tablets. Business Package: Home Security equipment is the same as the Home Essentials Gold . The package includes,3 door and window sensors, 1 fire safety, 1 motion sensor, 1 keychain remote for businesses for $34.99 per month. Renter Package: This package is designed for renters, a group that can benefit from LifeShield’s wireless security system especially since the security system doesn’t cause any cosmetic damage to the walls and doors since there is no drilling required to install the system. This package includes 3 door and window sensors and a keychain remote, the equipment is free and monthly monitoring is $34.99. Renters do have a pay a one-time activation fee of $129.99. LifeShield also provides a fire detection sensor that triggers an alarm in the event of a fire. They also provide professional installations and installers are trained and expected to provide great customer service experience while in a customers home. 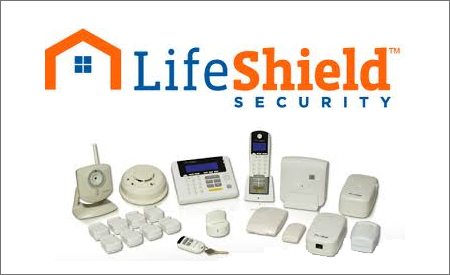 LifeShield truly offers great pricing, great home security system equipment and a record of great customer service. 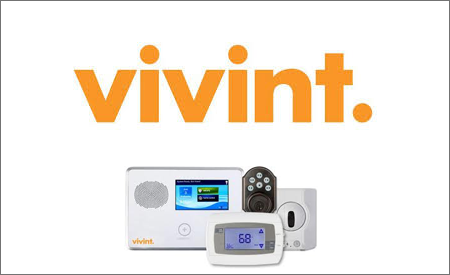 Vivint offers some of the most technologically advanced home security solutions on the market. They offer state of the art home security equipment, and home automation solutions that home security customers should find appealing. Vivint also offers 24-hour cellular monitoring, ensuring that they’re customers get the safest means of communicating with the central monitoring station possible. With Vivint technology remote interaction with the security system is a pleasurable due to Vivint great user interface on the Smartphone apps. When it comes to home automation integrated with a home security system Vivint leads the pack with very innovative home automation solutions like power door locks, and thermostat controls from a smartphone. Vivint also has a touchscreen Control Panel that most people would find to be very functional and visually appealing, the Control Panel even does weather alerts. Home Security Package: This package includes door and window sensors, motion detector, glass break sensors and other home security sensors. Energy Management Package: This package includes Vivints Energy management solutions like Energy efficient bulbs, lighting controls, smart thermostat, small appliance controls. Home Automation: This package adds Vivint’s home automation features and includes everything the Energy Management and Home Security package offer. Add video surveillance, automatic door locks, email alerts and notifications standard and you have a great plan that covers all you r monitoring needs. Vivint is taking home security to new frontiers they are the technology leaders, with 24-hour customer service and a state of the art office complex in Utah, dedicated to home security solutions Vivint may be the home security company of the future. Home security systems are more popular than ever, this is due to a myriad of factors, affordability, Improved response from police and emergency services, increase in population and the unintended consequence being increase in crime in certain areas. Police forces across the nation are keeping busy by responding to home alarms everyday, the New York times reported that in 2001 the Los Angeles Police Department responded to 127,000 burglar alarms, that’s means Los Angeles police officers respond to 347 homes daily. Across the country you will find similar statistics. Odds are if you live in Los Angeles you may have an alarm event that needs the authorities to show up to your property. These numbers may seem unnerving to the general population and this could explain why more and more people are purchasing home alarm systems. The silver lining is with home security companies offering more features with their home security systems. The combination of reasonable pricing and for lack of a better word “cool” features and technology like smartphone apps that allow users to integratehome security systems with other things that improve peace of mind. Things like smartphone applications that give access thermometer controls, and alerts when family members arrive or leave, you combine that with the basic improved security and it makes sense to own a security system. With all this said not everyone lives in a big metropolitan area like Los Angeles, and some people that own security systems don’t necessarily live in high crime areas so its important to touch on why different people with distinctive needs choose home security systems as a solution. I’ve spent most of the past decade working with the home security industry, in various capacities. As a consultant I was on the front lines with home security system buyers, answering questions and designing the best home security system for their needs. The only way to design the best system for them was to understand what was most why they wanted a security system to begin with. This meant talking about their concerns, in some cases their fears and addressing uncomfortable and sometimes tragic matters, here are some reasons why people purchase home security systems. Moving into a new house: Moving to a new house brings forth feelings of joy and excitement, a new beginning and a sense of accomplishment to name a few, but there could also be a feeling of insecurity about the moving into a neighborhood you may not yet know too well. The moving process is also tedious, whether you are moving into a new construction or an existing home its possible to feel somewhat vulnerable about your belongings in transit and how safe the property is during the moving process. With contractors on site installing expensive appliances the sooner you add a layer of security the more comfortable you may feel. These are common reasons and concerns people have when moving into a new home that could have them searching for a good home security company in the area. Crime in neighborhood: When its established that there is crime and crime elements in the neighborhood, most people understand they need to up the ante on protecting their homes and more importantly their loved ones. Recommendation: Knowing the type of crime being committed in the neighborhood and surrounding areas is a great first step, because you want to design your home security system to defend against the type of crime that’s prevalent in your neighborhood. Knowing if burglars came in through windows or doors, and if people were home during the time of burglary is also a great way to information to have. Owning a security system is a good way to help fight crime in your neighborhood, because it could bring more police attention to the area. Protection your home from someone you know: This is typically a tough one, when people are calling to install a security system to protect them against an ex, a child of theirs, or friends or groups of people they used to hang out with. This presents a challenge because the threats could be familiar with your schedule and your daily patterns. They have also been in your house before so they know how to find their way around. Recommendation: Using an alarm that triggers quickly and has ways to notify you by text or email as well as trusted neighbors or family members are important in this situation. Travelling spouse or Home Alone: This situation is actually pretty common.Lets say we have a husband who travels for extended periods of time and leaves his wife and kids at home while he’s away may decide to get a home security to ensure that they have police response in the event of an emergency.Knowing his family is safe and the alarm has not been triggered will also give him peace of mind while he’s away. Recommendation: A security system with full perimeter protection may be optimal for this scenario. We want to put a sensor on all the doors and accessible windows. Glass break sensors may also be a good fit here. I would recommend setting it up so that the alarm siren goes off and the police are dispatched as soon as the perimeter is breached, due to a sensor being triggered. To protect children – Easy access to children’s bedrooms: Getting a home security system to protect children needs no further explanation. People who have ground floor bedrooms may be worried about an intruder abducting a child at night, or while the child is asleep. Recommendation: Another full perimeter protection design, you want to alarm the bedroom windows and set the siren to go off as quickly as possible because you want to know that there’s been a breach quickly. With home invasions of this sort it is important for the adult in the home to be prepared to react and protect the child. Can’t wait for the police to show up on this before moving to protect your child. Contact sensors and glass break sensors are great alarm sensors for this scenario. Add service to an existing alarm system in the home: Some homeowners’ call to add service to alarm equipment in their property. The former owner may have purchased a home security system before they moved and you’re the new owner. Call around to find out what home security companies can monitor your security system and choose your favorite. Protecting a vacant property: People looking to protect a vacant property, maybe after the passing of parents or grandparents. Typically the rest of the family has to decide what to do with the property as they divide assets amongst themselves, during this time the home is very vulnerable. Disturbing as it is, opportunistic burglars will take advantage of anything and see the property as an easy target. A similar situation is a business looking to protect themselves after hours for whatever reason. It is expected that the property should be vacant after hours, and in order to protect their valuables they may add a business security system, with access controls and security camera systems. Recommendation: Cover wide areas with motion sensors, living rooms, hallways, reception areas etc. Always think about where a burglar would have to walk through in order to get to your valuables and ensure you have motion sensors covering those areas. Also invest in motion detecting lights and even strobe lights to go with the siren. Protecting kids and teenagers: Keeping children in is just as important as keeping burglars out to some people. Some people mentioned occasions when their teenage daughters have gone out through windows in the middle of the night. During the tough teenage years parents can use home security equipment to keep tabs on their kids. Recommendation: Put sensors on doors and windows on the main level, also purchase interactive monitoring so you can get notifications like text messages when the property is breached. Fire Protection: Almost every home can benefit from fire protection. People worry about their valuables being destroyed in a fire but you really need monitoring when the concern is about protecting loved ones and pets. If you are concerned about a fire when you go to work and your pet is at home, monitored smoke and heat sensors included with your home alarm system is a great solution. Recommendation: When it comes to protecting loved ones in the event of a fire you want a combination of standard smoke detectors that meet your local code requirements then add 24 hour fire monitoring with your home security system. The reason for both is the smoke detectors should alarm immediately to notify those in the house of the fire and wake them if they are sleeping and they know to get out. When the property is vacant and no one can hear the smoke alarms, fire monitoring dispatches the local police. Medical Protection: A monitored home security system already has all the tools in place to help you in the event of a medical emergency. Adding medical monitoring definitely adds value to your existing home security-monitoring plan. The phone line it uses to connect to monitoring station can also serve as a way to get to the local emergency medical response team. There are medical pendants and bracelets that you can purchase from a reputable home security company and integrate with the security system. Medical alert systems save lives, so don’t hesitate to ask your home security company if they offer this service. Now that we’ve covered the reasons why people want home security systems lets discuss the different types of security systems. Home alarm systems date back to around 1853 the electro-magnetic alarm changed the way people secured their homes. Dogs barking used to be the main way people were notified they had a visitor good or bad. At the most basic level an alarm system is just that, it’s supposed to alarm or sound off for attention. This call for awareness is at the root of the functionality in even the most alarm systems to date. The ways and modes in which they notify the user and others are what have evolved over the years – well, their looks have changed considerably too. The non-monitored alarm system: This as the name suggests is an alarm system that sounds of a siren at the premise, and doesn’t do much more. The goal of the non-monitored alarm system is to alert the inhabitants of the property that something has occurred in the building that they should be aware of. Sensors are connected to the control panel using wires or wirelessly, when alarm sensors are triggered by a door or window opening for example the built in mechanism triggers the alarm siren. The noise fills the area; people can hear it and respond to a potential threat. Monitored Home Alarm System: Monitored alarm systems generally look just like non-monitored home alarms. Similar sensors design and positioning, the difference is they have an active connection to your home phone, broadband or cellular towers. Monitored alarm systems use their connections to contact a central monitoring station that is tasked with dispatching the police, fire or medical team. Some areas require verified response before the police are dispatched to your home. With verified response the monitoring station dispatches the private security company to your home to determine there is indeed a real emergency instead of a false alarm situation. Hard Wired Security Systems: These used to be the predominant type of security system for decades, before there were reliable radio frequencies that the public could use. With hard-wired alarm systems the control panel is installed and connected to the electrical circuits in the home. The panel is then wired to the sensors around the house. The sensors are typically placed on all accessible points of entry (ground floor doors and windows) motion sensors and fire sensors can also be wired through out the property. More and more builders are offering buyers the option of hardwiring a home security system before the dry wall is completely installed. This makes sense because it’s easier and more convenient to wire for an alarm system before the dry wall is up. For people with existing homes and for those looking for a portable home security system a wireless home security system may be the best option for them. Wireless Security Systems: Wireless home security systems have similar components to their hard-wiredcounterparts; the main difference would the ability of wireless security system components to interact with the Control Panel wirelessly. They use radio frequencies to send communicate back and forth, limiting or eliminating the need for hard wiring in the property. Wireless alarm systems are more portable and easier to install than wired. As far back as the middle 1800’s actually in 1853 a patent was recorded for the first electro magnetic alarm. Even then, magnetic contacts were installed on windows, doors and other points of entry. The technology hasn’t changed much to date. By 1877 Edwin Holmes had a network of alarms that were being monitored in New York. His network of alarm systems used pre-existing phone cables to contact the central monitoring station. These fundamentals are still in place to date. On a basic level, a magnetic sensor is in proper but dormant state when the magnetic fields are connected or a door is locked. When the door is opened the magnetic contact is broken by the separation of the door from the wall frame. This separation triggers a message to be sent to the control panel to notify it of the door sensors change in status. Needless to say the inner workings of the control panel allow it to complete the function of receiving messages from other devices, then waiting for a period of time to allow for the system code to be entered. In the absence of a code, the Control panel triggers the siren and/or calls out to the monitoring station. There is data that shows that burglars will choose homes they feel are easy to break into, or homes that increase the chances of them escaping without being caught. Burglars are opportunists who want to take advantage of homes and families they feel are more vulnerable. Statistics show that a burglar is more likely to break into a house without a home security system than one that has one. There are many types of security systems in the market, so it is important to find a home security system that best fits your needs. Determine your needs before contacting a home security company, this is the best way to ensure your needs are met. It may help to understand the Reasons why people buy home security systems and what kind of home security equipment works for different situations. BestConsumerReviews.com recommends you consider these points when deciding on a home security system. Reputation of the home security company: Do they take care of their customers? Customer feedback. Monitoring plans and services: When you purchase a monitored home security system you are paying for a service, a service that dispatches the authorities to your home in the event of an alarm. Ensure your security provider can keep their end of the deal, as this is very important. Some monitoring plans include added benefits that help users interact better with their security systems and other parts of their homes. Cost: Costs for home security equipment and installation as well as monthly monitoring plans could add up. Make sure you are paying a fair price for the level of service you are receiving. When it comes to safeguarding your home and protecting your family cheaper does not necessarily mean better. A cheaper home security system does not mean its cost less in the long run either. BBB rating: This is a reliable way to look at how well the company does business as well how well they handle customer issues. The Better Business Bureau rating is a format and formula that has been applied to thousands of other businesses across hundreds of markets and industries so the BBB rating remains a great gauge. Equipment: The type of equipment your home security provider offers is an important part of the decision. You want quality security equipment that is easy to use and highly functional. Home security equipment could be wired or wireless. We based our reviews and rankings of the best home security systems on these five criteria. The team at BestConsumerReviews.com hopes this information is helpful in finding a home security system that bests protects your home and family from criminals. Other than not filling the house with holes and cables, wireless home security systems have other benefits. With various gadgets and devices, one’s family and guests would enjoy a safer home environment. With the installation of this type of security system, one would be secured, not only physically, but also mentally, emotionally, and not to mention, financially. But what exactly are the specific perks that this type of home security system can provide? A benefit to having wireless home security systems is their portability. With just one or two controls, anyone in the household can monitor if the lights are dimmed, if the security system is on, if the doors are closed, if the temperature is right, and so on. Without the cables and holes, a wireless system will only take little space in the house. With almost any device, one can monitor the house, as well as web and phone activity, at any time and any place. The cost of everything would also be lower than installed wired security systems. On an average, you save 20% of home insurance savings with a wireless system because it allows you to monitor all activities in just a few devices. Hence, with a portable security system, one can monitor everything, and pay lesser bills for energy, water, and the like. Another benefit is that with installed wireless home security systems, family and friends can all be ensured of high protection and security from “unwanted” visitors. With monitoring devices and gadgets working, one can relax and feel comfortable in one’s home. Not only does one protect his or her well-being, but as well as one’s property and goods. 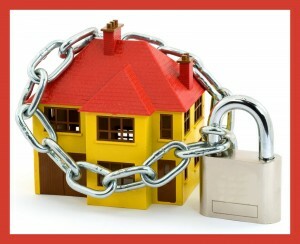 With this type of security system, family assets such as possessions, information, and funds can also be secured. Hence, materials and people inside one’s house would also be protected. Moreover, security systems would not only monitor and scout for dangers coming from the outside, but would also help in preventing unnecessary troubles from the inside. With wireless home security systems inside the house, alarms can easily be set up to detect fire, smoke, or even temperature changes. They can also be set up to detect unwanted connections and devices being plugged into the Internet system. This would therefore prevent and lessen the chances of experiencing home emergencies and the odds of facing preventable difficulties. When all else fails and it is too late to act, the last benefit a security system could offer is to contact the authorities for help. With a home security system, one can guarantee a more immediate response from police officers and medical personnel. Security systems often alert necessary authority and the people concerned whenever there are such cases of theft, and emergencies. Hence, a home security system actually alerts not only the family or guests inside the house, but as well as the closest neighbors and local help when needed. These are only some of the upsides of having a wireless system. In totality, wireless home security systems create a totally safer environment for everyone. Having this said, every household definitely needs a system today. As burglary rates skyrocket every year, more and more households avail of security systems. Turning to statistics, nearly 66% of all burglaries are residential break-ins. In fact, a home intrusion is committed every 13 seconds. Adding to this, homes without security systems are three times more likely to be broken into. Hence, it becomes increasingly important to set-up security systems in homes. This is why more and more people are beginning to avail of wireless home security which can come in two forms; home automation systems and technology controlled home systems. These two forms of security systems will not only prevent physical break-ins, but as well as intrusions in connections and networks. Today, 25% of households in the world use wireless connections, and this percentage continues to rise and increase per year. However, 48% of these Wi-Fi networks are unsecured, meaning that they do not have good passwords and encryptions. Without wireless home security, one’s systems and connections are free to be manipulated and utilized by hackers and scammers. Cyber criminals can easily take over control of computers and other devices, leaving family members and important information, open and vulnerable. Default passwords for routers and systems can usually easily be found out, making them easily accessible. Hence, common accounts are often targeted by hackers. Large networks and connections such as Yahoo! Mail, Facebook, Gmail, WindowsLive are often hacked. 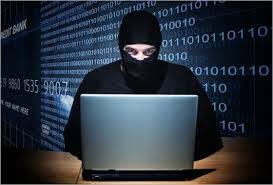 Cyber intruders use these accounts to spam or scam other people, and to loosen home security. Luckily, wireless home security prevents all these. This is why everyone should avail of it; because it greatly lessens the chances of one being a subject to cyber crimes, hacking, and stealing. There are three steps on how to set up wireless home security. The first would be to check and evaluate what security system is suitable for the household’s situation and condition. Many wireless security systems are cellular-based, but clients can also choose to select other devices that they want to utilize. One will have to decide on the method of controlling and monitoring gadgets and devices, as well as the types of notifications they want to receive, and the programs they want to avail of. The second step is to make an inventory and set up all devices to control and all the areas to check. One must include important home security systems and devices, as well as easily opened and hacked connections. For example, the main networks that wireless home security can protect are internet and phone connections, as well as alarms and security cameras. 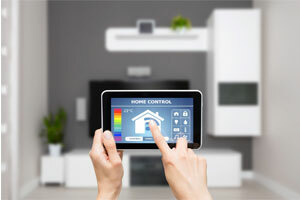 Temperature changes and light switches are also common items that wireless security controls. The third step is to have a trusted service provider or alarm company to help with the system monitoring. With this, one would have a more reliable connection when dealing with unwanted situations. Companies and providers help install, maintain, and operate home security systems more effectively. With this type of security system, one would surely be able to provide a safer surrounding for one’s family, guests, and visitors. Should I Install My Own CCTV Security System at Home? 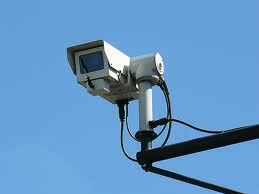 The CCTV system has been increasing in popularity ever since it was first made in 1942. It has been used to provide security for different commercial and industrial establishments as well as residential buildings. 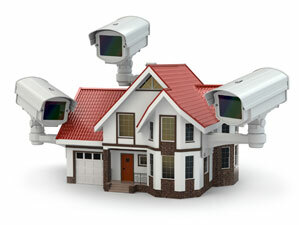 The CCTV home security system has helped provide valuable leads and evidences for crimes. These systems are also used by traffic enforcers to monitor road traffic and to investigate vehicle accidents once they occur. CCTVs are also very useful in monitoring people safety in subways to avoid accidents during the closing of doors and running of trains. They can also be used in recreational structures such as seen in amusement parks. A Closed Circuit Television or CCTV security system is composed of different elements directly connected by microwaves, infrared beams or others to a circuit that is closed. It uses surveillance video cameras spread out across the area which transmits the signals to a limited set of monitors where a security officer or observer is able to see the events happening in the area even without being there. There is only a specific receiver that obtains the signals unlike the broadcast television in which the signals are openly transmitted and any receiver can pick up the signals when tuned correctly. The simplest CCTV security system is called line powered camera and its components include a video camera and a monitor connected by a coaxial cable. Here the power supply of the camera comes from the monitor. Some changes made are the addition of multiple numbers of cameras for a wider range of views and a video switcher which enables the observer to choose one view from the desired camera. However, the limitation of this kind of system is not being able to record the videos taken by the camera which is overcome by the addition of a video recorder to the system. More complex CCTV systems include various camera improvements such as moveable cameras and night vision cameras and multiple recordings. CCTV systems are also being used to protect homes. A lot of homeowners have been using video surveillance systems. Most of CCTV systems are easily installed and a variety of shops offer a do-it-yourself or DIY surveillance system. Varieties of packages are available online and can be ordered for home use. Some packages include different kinds of cameras in sets of four or eight and even twelve as well as video recorders. The CCTV system for homes can also support remote viewing from a variety of computes and gadgets particularly Windows PC, apple, and android devices. They are also networkable and can be accesses from anytime and anyplace using the internet. This makes it easier for the homeowners to monitor their houses while away. However one of the downsides of this kind of systems when used for homes is that the homeowners are responsible for monitoring their own house unless the system is obtained from a security company which can provide monitoring services. Aside from this, the CCTV system can effectively minimize and deter crimes as well as provide concrete evidences once these crimes do happen. With a technologically-inclined society, one cannot manually and easily prevent system hackers and scammers from getting into the Wi-Fi home system or from acquiring business information. Hence, it is vital for home and business owners to set up a security system for their protection. This will secure important accounts and documents that need to be protected from prying eyes. Wireless security systems basically prevents unwelcomed devices and people from accessing or damaging the wireless systems and networks inside one’s house or company. There are already several ways to protect family and company data and devices. One type of security measure would be to have a Wired Equivalent Privacy set up. This will protect the most basic devices that one uses. Wanting a greater need for system protection, one can also take it to the next level with a Wi-Fi Protected Access system that will secure online assets and information. These are just the common programs that secure basic networks and systems. However, there are some cases in which these wireless security systems weaken and become ineffective. When this happens, security tends to falter and loosen, which later on results to having an unprotected Wi-Fi or computer network. Usually, poor or no encryption is the “go signal” for hackers to manipulate one’s system. Wireless security with weak encryption algorithms would also endanger one’s network if not addressed immediately. Adding to this, security systems with weak passwords become subjected to the destruction of the system. Having everything said, it becomes clear that wireless home security systems will not be effective if clients rely on the program or the security system alone. One should also exert effort in doing his or her job in order to have a more reliable and effective security system. One safety measure to improve on would be to always update the security system whenever a new version comes up. Although it would be a little pricey, this safety measure will better serve and protect clients. Improvement can also be made by educating family members or trusted employees about the security system. Having this, the household or the office would have more people monitoring the system. There would also be less vacant and entry spots in the system in which hackers and scammers can enter. One can also identify the users, and register the gadgets that employees and family members have. In this way, one would be able to keep an inventory of all valid devices, and would be able to reject unauthorized connections weaving their way into the system. Adding to this, users can restrict direct internet access by requiring a unique password before connecting to the Wi-Fi or before accessing documents. This will better protect important data and accounts that the system has, hence further strengthening the workplace or household. One can never be too sure or guarded from scams and hacks in a system. Having this said, wireless security does not only rely on the system itself, but also extends to how the users and clients utilize the system. With a more secured and active security system monitoring plan, one will be able to better improve the home security system, creating a harmonious home and workplace environment. What are Some of the Benefits of a Monitored Alarm System? An alarm monitoring services is a term commonly used to speak of services provided by a company that monitors alarm systems. Homeowners setup these alarms for a wide variety of reasons. There are fire, residential, and burglar alarm systems. Monitoring services are quite popular in today’s home security industry. There are a vast majority of homeowners who rely on monitoring services to keep their homes safe from harm. The cost of monitoring services might be a nuisance for some, but for most the service is well worth the asking price. The home security industry is aware of this and many of them have begun to capitalize on the need for a monitoring service. There are so many security companies that homeowners are spoiled for choice. Those who are on the fence on whether or not they should get an alarm system monitoring service are usually the kind of people who are unaware of some of its benefits. There is nothing wrong about being a vigilant homeowner. For the undecided, below are some of the benefits of having a monitoring service for home security. One of the biggest benefits of having a monitoring service for home security is the immediate response that homeowners can expect. When an intrusion is made, the alarm goes off. A signal is then sent to the security company responsible for monitoring the home’s security. The security company then informs the proper authorities of the breach in the home security system. This kind of immediate response is not available to those who do not have their own security monitoring service. Security company calls regarding home security breaches are effective in making sure that help is immediately on the way. This is in fact the primary reason why most homeowners employ an alarm monitoring service for their homes. The issue with home security, at least when there’s no security service, is that it relies on the homeowners or neighbors to contact the proper authorities. In an ideal world, whenever a home security system goes off the homeowners of the neighbors will inform the proper authorities of the potential break in. Say that the homeowners are not at home and someone breaks in. Most neighbors tend to be unresponsive and will not contact the proper authorities regarding the break in. This is because most people are used to alarms going on and off. Most neighbors assume that it must be some sort of false alarm. Another benefit of an alarm monitoring service is that it can serve as deterrence to those who want to break into a home. Studies have shown that homes that employ a security service are less likely to be broken into by burglars. This is because security services present a tremendous risk to those who want to break into a home. Burglars and thieves want to make sure that the home they break into is an easy prey. They want as little risk as possible. Having a home security system in place is always a good idea, but having a security monitoring service is even better. Criminals know that homes with a security monitoring service are extremely risky considering the immediate response that they might trigger. Another added benefit of having a security service is that it can save the homeowner a tremendous amount of money for insurance. 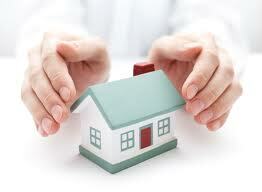 Insurance companies asses the risks of any harm that may befall a home. Implementing a home security system and hiring a security monitoring service reduces the risks that insurance companies have to bear. The reduced risk gives insurance companies a strong peace of mind. This allows them to offer and provide homeowners with cheap insurance. Insurance companies love home security systems and services because it serves as a preventive measure. As the say goes, an ounce of prevention is better than a pound of cure. An alarm monitoring service may cost money, but it also saves money and the home. Some people might think that getting a high quality home alarm system is as easy as looking for a security company online, contacting them, and letting them take care of everything else. That may seem like a good and convenient idea, but a risky move since there are so many things those homeowners should think about before they have an alarm system installed for their home. In a perfect world, getting a security system for the household would be easy. This is not a perfect world and the truth is homeowners should be vigilant in the kind of security system that they are getting. It may seem daunting and complicated, but finding a good alarm system can be easy. Here are some of the important considerations when getting a home alarm system. One of the things the homeowner should take into consideration is the kind of security measures that they need for their home. Each home is different and each home demands a different kind of security system. Will a wired or wireless system be more convenient for the home? Are pressure and motion sensors even necessary? What about cameras for the home’s perimeter? Homeowners first need to establish the security needs of their home before they even think about the other important factors of their security system. Without establishing the needs of the home, the homeowner runs the risk of getting too much security or not enough security. Either mistake will end with costing the homeowner. Another important consideration when getting a home alarm system is whether or not the homeowner should hire the services of a professional security monitoring service. A security monitoring service basically monitors the home security system. When the home security system detects an intrusion the alarm goes off. A signal is sent to the security monitoring service informing them that there was a breach of security. The security monitoring company then calls the home to check if it was a false alarm. Failure to pick up the phone will give rise to the presumption that a real intrusion has occurred. The security monitoring service then calls the proper authorities to check in on the situation. This kind of service is not for everyone as it might be an expense that some homeowners cannot afford. However, a security monitoring service is highly recommended for those who often leave their homes unattended. Homeowners really need to do their homework. 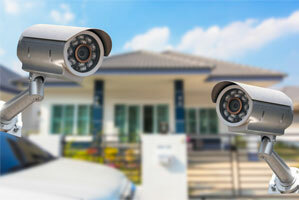 Too often do homeowners buy security systems without really thinking about their decision. Not all security systems are the same. Some are better while others are of the quality that tends to give the home security industry a bad name. There are plenty of websites out there that provide consumers with the kind of information that they need in order to arrive at a well informed decision on which security system they should go for. Sure, it might take a while, but in the end it will provide an excellent framework for choosing the right home alarm system. Why Buy A Home Security System? It’s the middle of the night, you’re fast asleep, then all of a sudden you hear a smash and it’s too dark to find your way to the phone, and before you know it you see a dark figure standing in front of you, what are you to do? It’s best to invest in one of the top home security systems, when you’ve only got seconds to save your life or that of your loved ones. It’s also good to take care of elderly family members, perhaps they are not able to get to the phone themselves or to get out in time in case of an emergency. Having one of the best home alarm systems can improve the chances of their survival. Installing a security camera for constant home security monitoring is the best way to protect your property and your loved ones. When you are not around to watch over your home and private property, the home security monitoring can do the watching for you on the security camera. Home alarm systems have many benefits and are well worth the investment for you and your family in case of an emergency, trained specialists will call the police nearby and alert them if anything is wrong. Sometimes it can be difficult to remain calm in these types of situations, but the representatives that work for home alarm systems, they have a lot of experience dealing with emergency type situations. Establishing good home security systems takes time, skill, and effort. We have many resources available to offer you home security monitoring. You can set up your own home security systems, and have your home watched on a constant basis. This can allow you to rest easy when you go on vacation, knowing that one of the best home alarm systems is watching over your property or loved ones at home. With a home security camera you can catch footage of anyone who tries to trespass onto your private property. There’s many good reasons to have home security monitoring. In the event of a fire, it can reduce the damage by alerting authorities, giving you more time to get outside as well. A burglar can take some of your things, but a fire can take everything you own. Trying home security systems for your home is one of the best decisions that you will make for you and your family. With home alarm systems, you can relax when you are away from home knowing that there is someone there to watch over your private property. Having a personal home security camera has helped many people by collecting footage of criminals who break into their property. A good home security monitoring system can not only protect your property, but it can also help to save your life. In an emergency situation, every second matters and sometimes it can take minutes for the police, ambulance, or firefighters to reach you. The home security monitoring system rapidly responds to any alert of a break in and it will contact you immediately to see if everything is okay. It will also contact the authorities for you if they don’t receive any answer or if there is something wrong. Many homeowners are complaining about burglars and intruders. That is why they resort on getting security systems to make their homes secure. There are plenty of security systems available in the market and it can be confusing to make the right choice. It is important to choose the system that will work best according to your basic requirements and budget. The features and basic styles are some of the important factors to consider in buying security systems. Many of those are designed with special features such as sensors for motion, sensor for glass breakage and sensor for doors and windows. It is important to ask for quote from different suppliers so that you can find the best deals. The wireless alarm systems are getting popular for many homeowners. This system has built-in sensors that are installed in your home using a transmitter. The transmitter sends the signal to the control pad. However, installing the wireless system requires installing additional sensors on outbuildings and outside gates. Another type of security system available is the security camera system. This is one of the home security systems that has obtained positive reviews from buyers. It can record the motion of the burglars breaking into your home through the hidden closed circuit television cameras. Homes that have security systems installed can take advantage with the reduced home insurance premiums. Security systems are not all about protecting the home and residents from burglars and intruders. It is because you can also find systems that can protect your home from fire. Installing monitored smoke alarms in your home is an important consideration. It does not only warns the homeowners for potential problem but also sends signal to monitoring services and the fire department. However, before purchasing home security systems, it is important to do research from different security systems manufacturers and dealers. You should point out some important questions from the company representative to ensure that you are getting the right thing. Here are some questions to asks from the representative. Does the security system offer backup communication in case the telephone line is cut or down? You should anticipate that burglars are getting smarter and in most cases they cut down the phone lines so that communication will be interrupted. This makes sense of choosing a system that provides backup communication. Does it offer back up system for power failure or if the system runs out of batteries? There are many factors that affect power failure. The weather plays a big part that is why it is necessary to check if how long the battery of the system will last. Likewise, you need also to know what will happen inside the monitoring station in the event of power failure and how they can contact you. Does your security system have warranty? Apparently, most manufacturers of security systems offer warranty. IT is important to know the coverage of the warranty. Is the system effective and convenient to protect the family and the properties? As much as possible, you should choose security system that will protect everyone in the family including your pets and valuables. Aside from those questions mentioned above, you should also consider to ask the cancellation policy, return policy and length of contract. With the increasing incidents related to safety and crime, it is ideal to invest in security system for your home. This way, intruders and burglars will have second thought of breaking into. Choosing between monitored and non-monitored security system should be considered. If you will choose the monitored system, you should expect that the providers will charge monthly fee aside from the installation fee. The monthly charge will depend on the plan you have chosen as well as the contract’s length. The good thing about monitored security system is that the provider will receive a signal once the system is tripped caused by the intruder. Likewise, the control panel also sends important information to the main monitoring station and eventually you will be connected either through the intercom system or telephone. The station requires verification by asking the pass code and name of the subscriber. If the verification is not satisfied, the station will send the police. Signing up with the monitoring station, the client is required to provide information of the primary and secondary contacts that will be notified if the subscriber is not home. On the contrary, if you will select non-monitored security system it will be cheaper but it is not linked to the central monitoring station. If the system detects an intruder, it will generate an alarming sounds or flashing lights. This spares you from paying the monthly service fees, but it is risky on your part. Likewise, the response time of the authorities will be delayed particularly if you are living in an urban area. Since the system is not monitored you will not have peace of mind thinking that you are not completely secured. Wired and Wireless Home security systems are available. Both types have built-in sensors that can be installed in any strategic places throughout your home that communicate with the central control unit. In the same manner, the control unit is connected to an alarm that is transmitted to the monitoring company. The wired security system is connected by low-voltage wires. It does not require routing wire that is why it can be easily installed. The wireless security system uses tiny radio transmitters that send signal to the central control unit. It is much easier to install, yet less reliable. Investing in security system can be very expensive but it all worth the costs in the long run. You can find the best deals of security system as long as you know how to shop wise. Compare prices from different suppliers and providers so that you can find the one that suits your needs and budget. Security system for your home will cost you big amount of money upon installation. 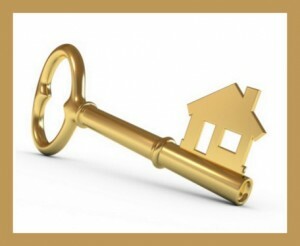 However, it will save you fortuneby protecting not only your properties but especially the lives of your loved ones. There is a wide range of best rated home security systems you can choose from. But before you decide on what model you will buy, you must be knowledgeable of the features that a standard security system offers. Why buy one of the best rated home security systems? A thief trespassing your house will be easier to identify if you have a security camera system. No one will like a stranger walking inside the house, as this case is very alarming. Fortunately, households have the chance to keep their house secured by availing the best rated home security systems from different companies. A security camera does not only serve as your defense for protecting the house or office, but it can also identify the criminals behind the act. Security stickers, stating that the house is protected by surveillance cameras, are discouraging would-be thieves to do possible crimes. What are the things that the buyers should consider in buying the best rated home security systems? 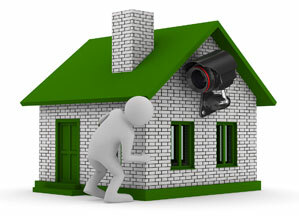 Installation of security camera systems has already been adopted by many households. Once a new feature is released by another company, others would be releasing the same feature later on. Although the cameras have similarities, they all differ in the quality of services. The package deals are made to protect the house and provide you with necessary equipments for installation. Choosing the best rated home security systems is a confusing task for customers. They will need to consider some things in order to come up with a security system that can satisfy their expectations. A standard security camera has features like black-and-white recording abilities, and infrared LED lights used for recording footage at night. If you want to have a better picture quality, you can avail the high-resolution Wi-Fi camera. It can recognize critical points in the video file. A security system will not be functional if it does not give you a clear and vivid view of the video feed. Theft can occur unexpectedly. This is why having a 24/7 monitoring service is necessary for any security camera in your house. 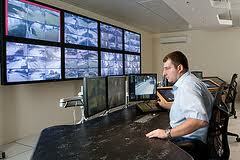 The best service that a security system company may provide you is to have an access to the video feed. You are able to watch it at the current time and rewind the video feed to your desired time of footage using your smartphone or computer. Standard security systems do not have an audio-recording service. Only a few units have this feature. Customers should not only examine the camera, but the whole package as well. A complete security system package includes additional peripherals that will be installed at several angles of the house. Peripherals include motion sensors, carbon monoxide sensors, and heat detectors. Some security systems also offer home automation feature, which can instantly interconnect the cameras to smoke and heat detectors. In this way, the household can prevent the possibility of having fire accidents in the house. A company with a good customer service can be reached by the customers through phone, live chat or email. Once you experience problems in using the system, you can easily consult with the company’s support system. One will be fully secured if he is willing to avail the complete security system package. Aside from protecting your valuables from thieves, you can protect the lives of your loved ones from possible accidents and criminal cases.